A man and woman have fallen off the cruise ship Spirit while at sea and have yet to be found. Carnival Cruise Lines has found itself in hot water over the past few months as several ships in its fleet have lost power, been stuck at port, or even caught adrift at sea with passengers finding minimal sustenance from dwindling supplies as bathrooms overflowed and living conditions declined exponentially until the broken ship could return to land. Today, another issue has found its away aboard Carnival, though this one may very well not be the result of the cruise line’s shortcomings. A young couple—Kristen Schroder, 27, and Paul Rossington, 30—have fallen off the Carnival Spirit after boarding in Australia; security footage from the ship shows them going overboard around 8:50 PM local time last night. The couple was discovered missing earlier today after the ship docked in Sydney, Australia. New South Wales Police say they have established a search radius of 60 nautical miles, holding out hope that the couple could be found alive. “At the moment our thoughts and prayers are with the family and friends of these two individuals and we're pulling out all stops to try to locate them,” said NSW Police Marine Area Commander, Mark Hutching. Carnival has chosen not to disclose all the details of the security footage or release the film itself out of respect for the families of Schroder and Rossington. 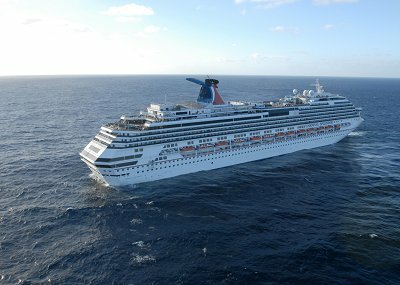 Subject: LongIsland.com - Your Name sent you Article details of "Couple Goes Overboard on Carnival Cruise, Still Missing"